Acqua di Gio Profumo by Giorgio Armani - An aquatic aromatic fragrance for men. A reinvented verion of the original 1996 Acqua di Gio. Created by perfumer Alberto Morillas, the intensely masculine scent includes notes of watery accords, geranium, rosemary, incense, incense, and patchouli - an ode to where the crystal blue sea meets the black rocks at the waters edge. 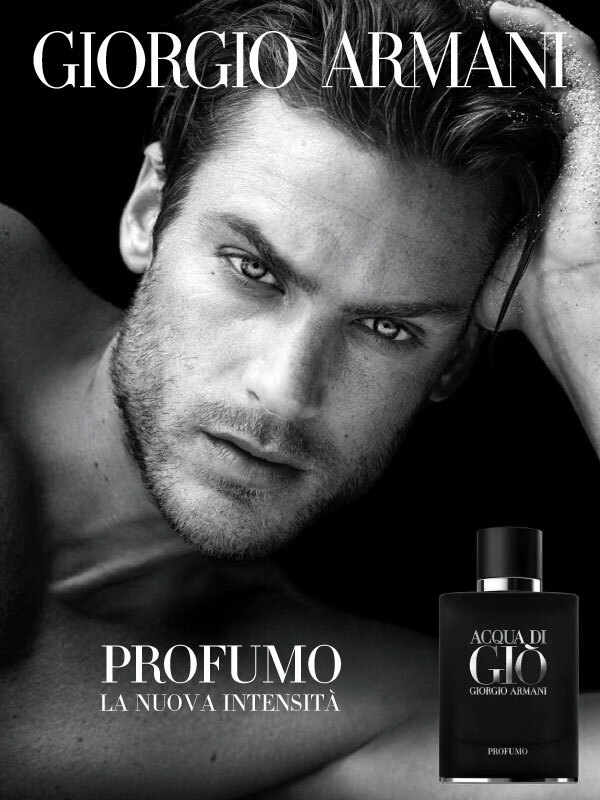 The advertising campaign features Jason Morgan. Available in an eau de parfum spray from ULTA and Nordstrom. 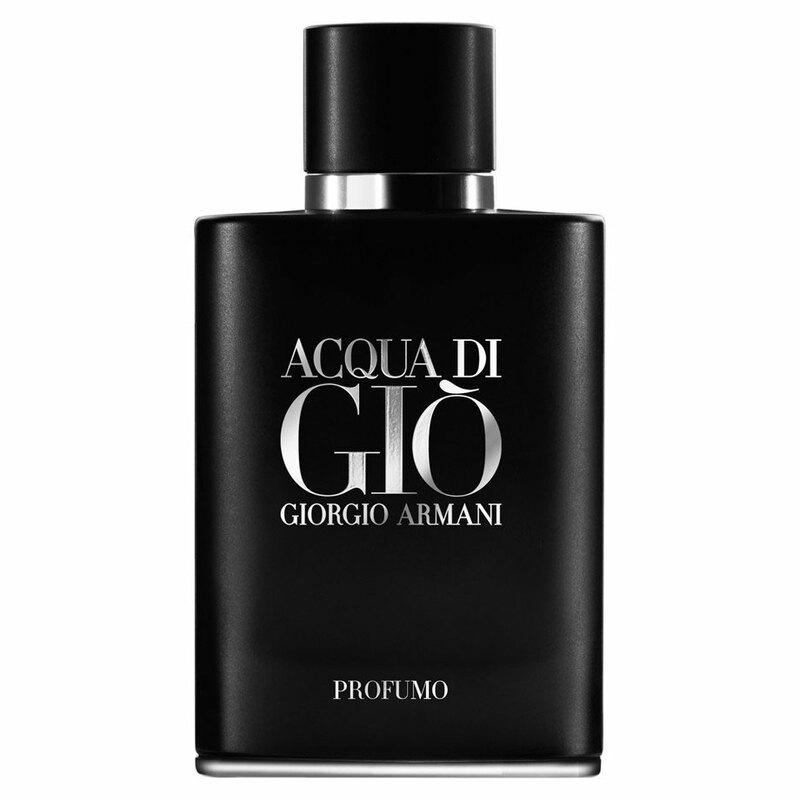 Package Design Original Acqua di Gio bottle in opaque black to resemble black stone, with silver accents. 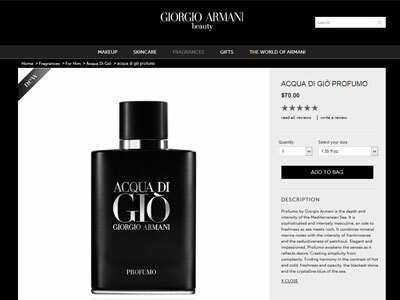 "Profumo by Giorgio Armani is the depth and intensity of the Mediterranean Sea. It is sophisticated and intensely masculine, an ode to freshness as sea meets rock. It combines mineral marine notes with the intensity of frankincense and the seductiveness of patchouli. Elegant and impassioned, Profumo awakens the senses as it reflects desire. Creating simplicity from complexity. Finding harmony in the contrast of hot and cold, freshness and opacity, the blackest stone and the crystalline blue of the sea."